Even though MCBD2018 is over I am still getting amazing books every weeBeing appreciative of every book that crosses my desk, I wanted to find a fun way to share those books with the loyal folks who show up here to read every week and support this non-profit. 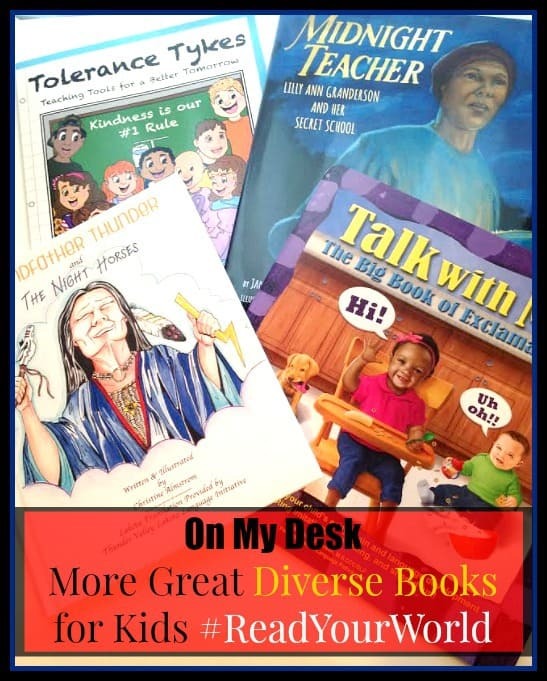 In that moment, On My Desk | New Diverse Kids’ Books to Consider was born! It’s my way of sharing some amazing titles that don’t always get the attention they deserve. When a young girl is frightened of a storm, her grandmother comforts her by telling the story of the Night Horses – a creature Grandfather Thunder made from his own heart to wake the earth and bring the rains to the people. 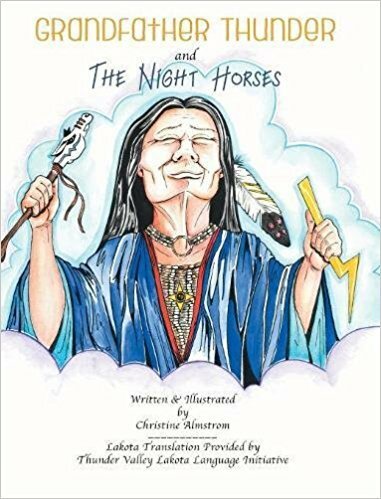 Based on the Lakota legend of the Thunder Horse, “Grandfather Thunder & the Night Horses,” is translated through permission of the tribal elders of the Pine Ridge Reservation and the Thunder Valley Lakota Language Initiative in Pine Ridge, South Dakota. The author’s first book, The Big Book of Exclamations, was written with the goal of being an educational children’s book designed to promote speech sound development. 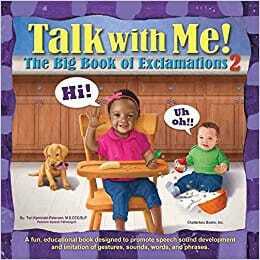 Talk With Me: The Big Book of Exclamations 2 is the second in a series of educational children’s books. Created by a pediatric speech-language pathologist, our books are filled with carefully designed illustrations which immerse infants and toddlers in the rich language that surrounds in their familiar environments and daily routines. The books are designed to promote speech sound development and imitation of gestures, sounds, and words. Unlike most books, it doesn’t have a story to read. Instead, across the bottom of each page, there are prompts which teach parents/educators how to act out the illustrations and interact using gestures, sounds, words, or phrases depending on their child’s ability. The book shows parents how to modify what they say about each illustration in order to maximize their child’s communication potential. It is also filled with information which helps parents understand speech. Lilly Ann learned to read and write from her master’s children in Kentucky. She shared her knowledge with other enslaved people in a hidden spot in the woods on Sundays when the family was away. Later, she was sold to Mississippi, where teaching others carried a punishment of thirty-nine lashes with a whip. To keep from being found out, Lilly Ann taught in a secluded cabin off a back alley from midnight until two in the morning. 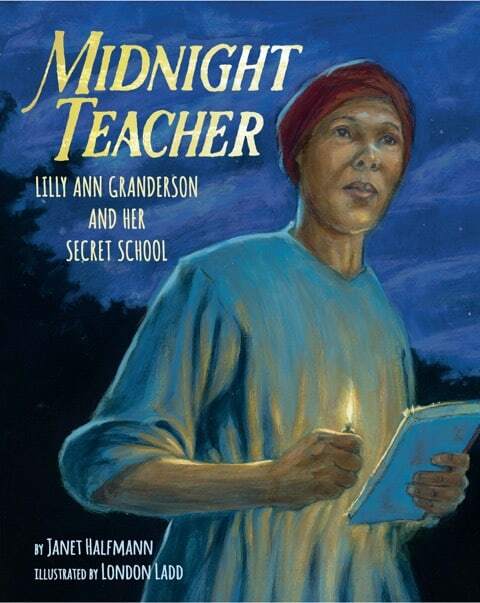 Over the years she taught hundreds of enslaved people, and they, in turn, shared their knowledge with others. Read the author’s guest post and book review on JumpIntoAbook.com. 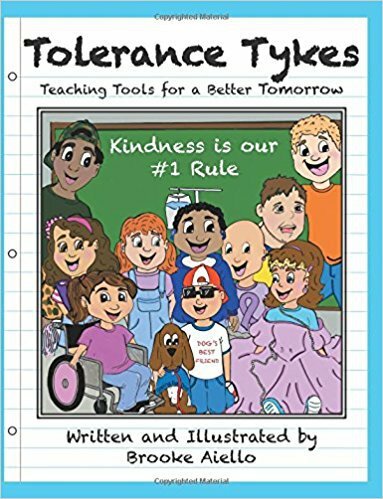 Tolerance Tykes was created to promote to inclusivity of children from all walks of life. This new series will focus on breaking down the walls of intolerance that stand in the way of a more compassionate world for our children to grow in. The purpose of this book is to instill the message that all children are beautiful and important just the way they are.Each book in the series will provide a look into the lives of ten children. Through bright illustrations, fun facts, and poetry the reader will get a sense of what it is like to walk in that person’s shoes for a day. Topics include Gender Identity, Autism, Down syndrome, Hearing Impairment, Blindness, Anxiety, stuttering, Cancer, Adoption and Muscular Dystrophy. What amazing books have YOU found this week? 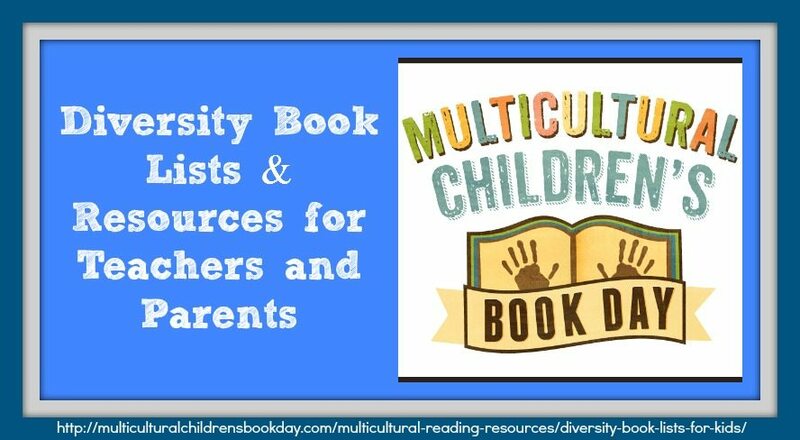 One More Thing- Be sure and check out our robust and extensive Diversity Book Lists & Resources for Teachers and Parents!